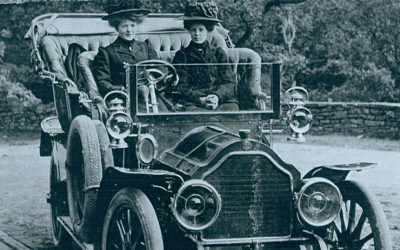 To view older and newer blog posts, simply click on the links at the bottom of this page. I don’t know whether it’s my failing eyesight, but I didn’t notice inscriptions on both the milestones on the Old Macclesfield Turnpike. But they were well-hidden. 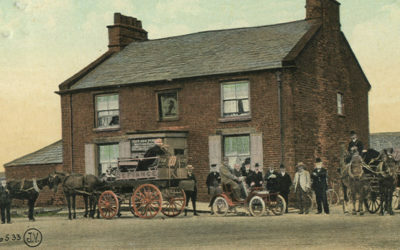 This toll booth was one of five on the first Buxton to Macclesfield turnpike, forcing poorly-paid locals to pay a small tax for passing through the gates. Unsurprisingly, they were highly unpopular. A recent talk in Buxton on milestones inspired me to go in search of any of these small roadside markers that lie close to the Goyt Valley, alongside the old turnpikes. 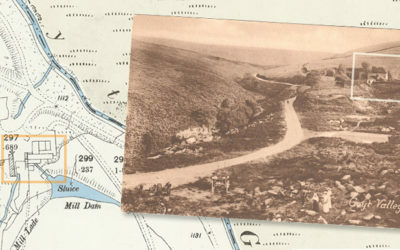 A signpost beside the Cat & Fiddle points towards Derbyshire Bridge at the southern end of the Goyt Valley. But this is Goyt’s Moss. 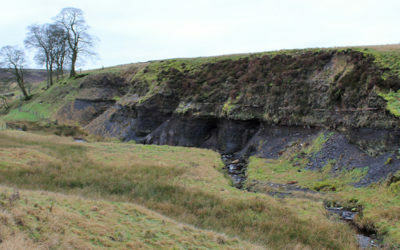 And the bridge is further along the road towards the twin reservoirs. 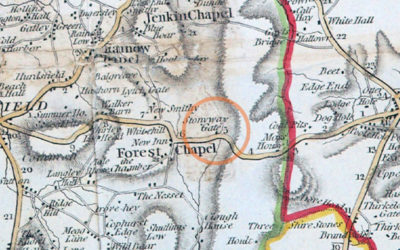 An old OS map reveals a wealth of fascinating detail on what was once a busy colliery on the outskirts of Buxton, where coal was unloaded from tunnels extending as far as Goyt’s Moss, over a mile away. It’s hard to believe today but this quiet spot, beside the Old Macclesfield Road just outside Burbage, was once a busy colliery where coal was unloaded from small boats onto railway wagons. 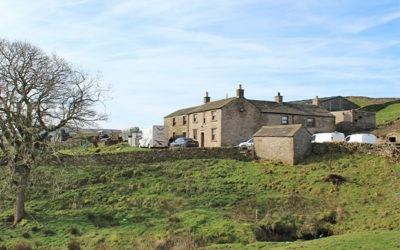 At 12 o’clock on Thursday night (18th May 1884) a sad and fatal accident happened at the top of Long Hill, about three miles from Buxton, whereby Mr. Thomas Dunn, of the Nook Farm, Fernilee, lost his life. With the weather turning wet and windy, I thought it a good time to hunker down and catch up with a couple of walks I’ve photographed, but not posted. 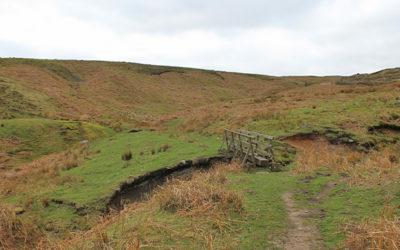 Starting with Three Shires Head. 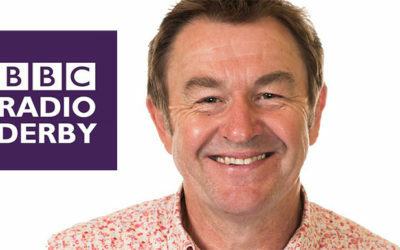 BBC Radio Derby’s Andy Twigge is up to the letter G on his regular A to Z feature on places of interest in Derbyshire. Which is how I came to receive a call asking if I’d come on his programme. 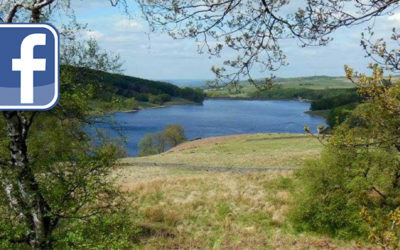 If you’re a Facebook user and love the Valley, join our newly launched ‘Goyt Valley Appreciation Society’ Group. All members are very welcome. Contribute, chat and take part in the conversation. 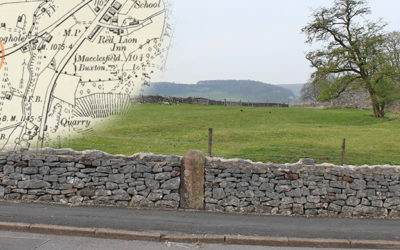 A writer in 1810 describes an ancient settlement close to Withinleach Farm. Today the farm is just a pile of stones beside the path to St. Joseph’s Shrine. 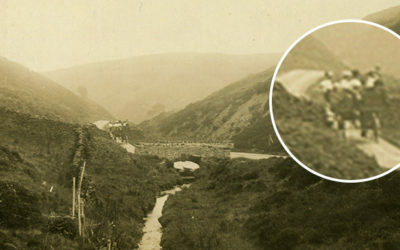 It’s yet another Goyt Valley mystery. 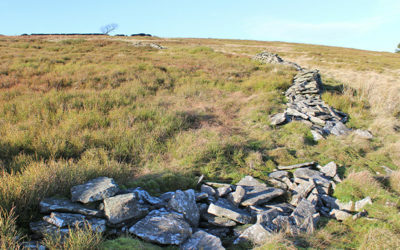 I’ve often wondered about the history of the old and new Buxton to Macclesfield roads that snake in tandem across the windswept moors. One now derelict, the other today’s A537. 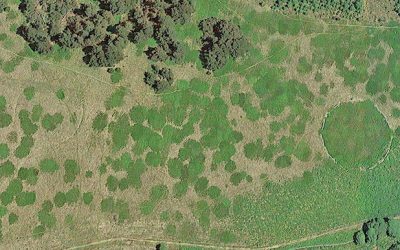 Could a small circle of jumbled stones mark a Bronze Age burial? 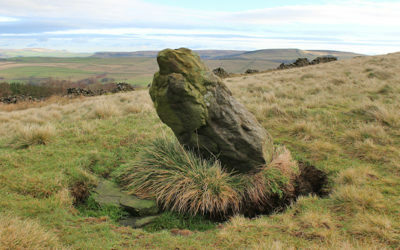 And might a small standing stone be an ancient waymarker that once guided travellers across this windswept landscape? 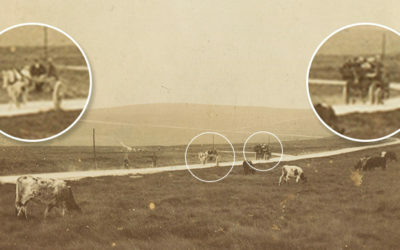 Discovering the facts about the twin circles on Foxlow Edge isn’t easy. I hope they’re the remains of a Bronze Age settlement. But the experts seem to be pouring cold water on my dreams! 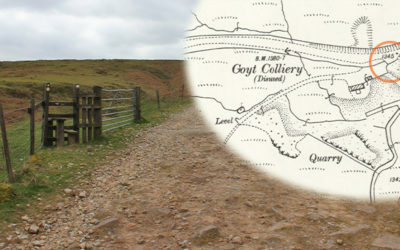 A 1997 archeological survey traced the history of coal mining at Goyt’s Moss, from surface workings dating back to the early 1700s to deeper shafts using horses to winch coal up from the seam. 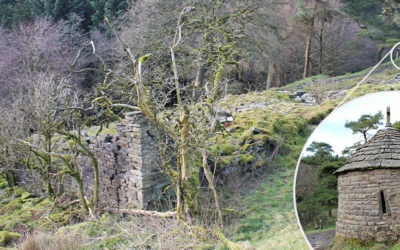 An even older photo of Goytsclough shows the paint mill ruins in greater detail. It hopefully brings me one step closer to discovering where the giant waterwheel once stood. 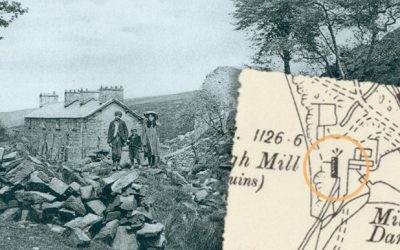 An old postcard of Goytsclough provides another small but tantalising clue in the puzzle over the giant waterwheel that once powered both the stone quarry and the later paint mill. 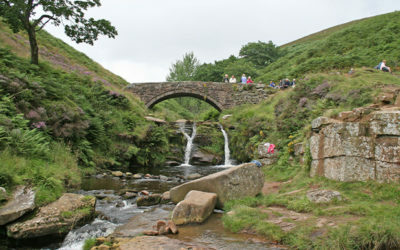 Rod tells of his encounter with a ghostly apparition on the River Goyt. 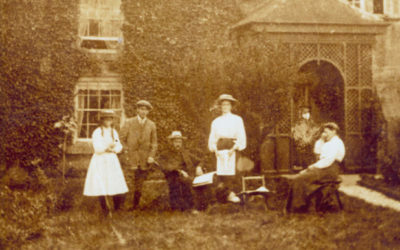 Could it have been Irma Niorthe, the young French maid who died at 27 and is buried above Errwood Hall? 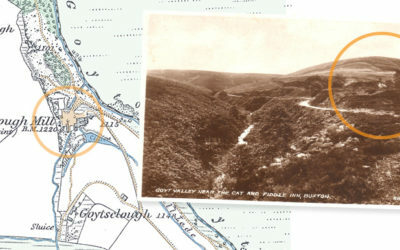 A new ‘then & now’ fade of one of my favourite old photos of the valley helps pinpoint exactly where the cottages at Goytsclough once stood. And it’s not where I thought! 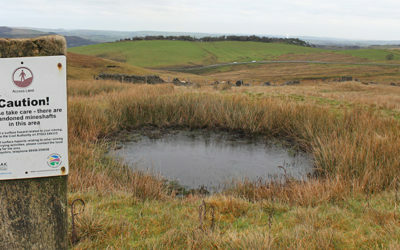 Mystery no.1; a couple of circles in the landscape high on Foxlow Edge. 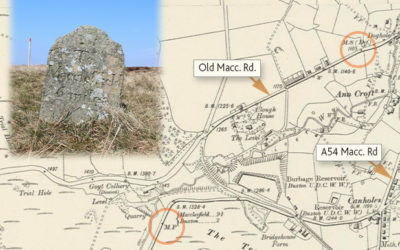 Mystery no.2; a stone memorial found close to Fernilee Reservoir. Any suggestions would be much appreciated. 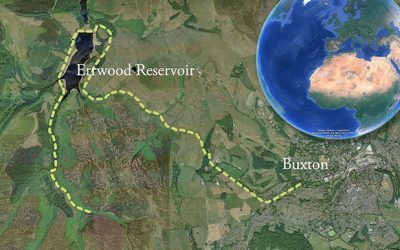 Experience one of the most popular walks on the site, the 8-mile circular walk from Buxton to Errwood Reservoir, courtesy of Google Earth and some magical 3D satellite image wizardry.